One of the nicest things about Britain is its cosy size, which means that you can travel from one of the world's largest urban metropolises, to the open countryside in a little over an hour. But it's not just the open countryside that I'm recommending escaping to, it's some of the prettier little coastal towns – and even islands. 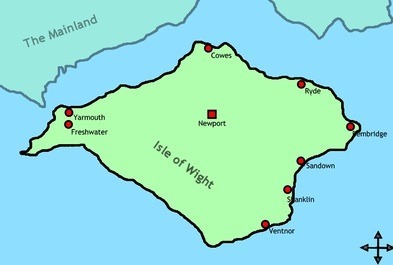 In particular the Isle of Wight. If you're under 50 the IoW is probably best known to you as a festival venue – Marc Bolan played the first ever gig here in '68, after which there was a couple of follow up festivals, and since 2002 there's been an event every year. The IoW is also where Cowes of Cowes Week is, so it's one of the best places for sailing enthusiasts and aspiring 'boat people' to visit. But as well as hosting a festival and a yachties regatta, the IoW is also has the 'honour' of being England's largest island, and of being Queen Victoria's favourite holiday destination. 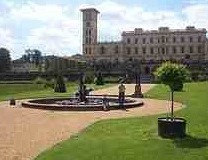 She came here in the summer, staying at Osbourne House, which meant that a lot of other fashionable Victorians came over as well. Victoria supposedly liked it so much because she thought it was like an 'England in miniature', referring to the varied nature of its nature – for such a small place it's got a very diverse range of scenery. 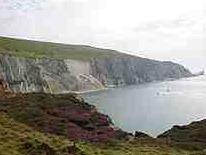 Some of the most spectacular is along the western coastline where there are impressive chalk cliffs ending in a bit that's called The Needles, which are a row of three separate stacks of chalk at the end of which a military battery was built in WW2. As far as more modern visitors go one of the best things about visiting the IoW are the squirrels – unlike most of the rest of the UK, there are no grey squirrels here, only the endemic, and prettier, red squirrels. So make sure you make a bit of time to walk out of town and stroll though a wood. If you're most interested in older, larger animals, then it's worth noting that the IoW is also one of the best places in the UK to find dinosaur fossils – it's those crumbling cliffs you see, new rock is always being revealed. Located right near the mouth of the English Channel, the IoW is very easy to get out to. Obviously the nicest way to get out to the island is on board your own sailing ship, but if you don't have one there's a quite civilised car ferry, which takes passengers as well, treating them to bar and cafe facilities while it ferries them across the Solent and back from Lymington, on the mainland, to Yarmouth. This 6km approx. crossing takes a bit more than half an hour, but you can also travel in from Portsmouth to Ryde or Fishbourne, or Southampton to Cowes. For your first time visit to the IoW, I recommend driving down through the beautiful New Forest to Lymington and parking your car and catching the ferry over to Yarmouth. In Yarmouth stop for lunch at Salty's and then take a stroll out of town looking for a decent bit of beach and on one side and some red squirrels on the other. If you want to make a whole weekend of it there are some nice B&Bs here, as well as some decent hotels – The George is one – and several campsites. If you're camping bring your car and see more of the island.